The following is a list of all roads under the jurisdiction of DeKalb County. A map of these roads is available for more information. (GIS/StreetGuides/DeKalbCountyRoads.pdf) These are the roads which DeKalb County is responsible for snow plowing, signing, constructing, maintaining and posting. 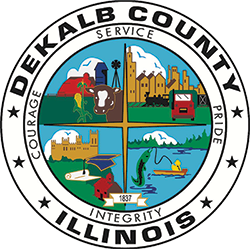 Any questions relative to these roads, with the exception of law enforcement issues, can be addressed by the DeKalb County Highway Department at 815-756-9513.